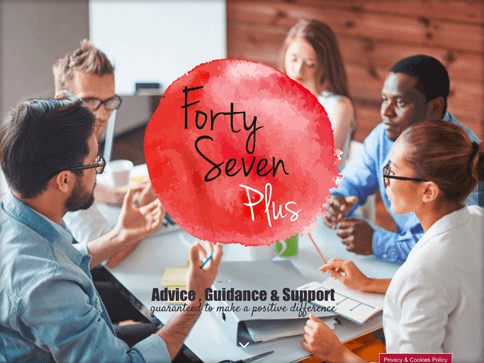 Although an existing customer, 47+ was a new venture which only needed a budget friendly ‘online presence’ which consisted of minimal yet important keywords and information in one place. 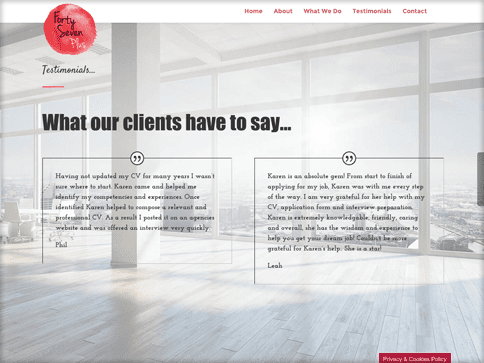 Nettl of Kidderminster were able to create a one page scrolling website which can offer a sneak peak of the business and encourage enquiries through a contact form and call to actions. 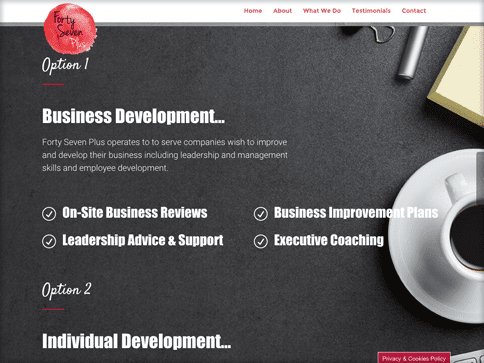 The CMS system we built is scalable as the business then grows and did not break the bank to get them started and off the ground as a new business.